Born in Washington, Lazarus worked from an early age at his father’s bicycle repair shop, said The Washington Post. 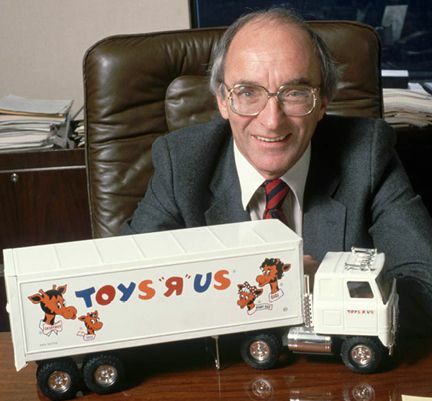 After serving in World War II as an Army cryptographer, Lazarus started selling children’s furniture at his father’s store and “soon took over the space entirely, turning the storefront into a shop named Children’s Bargain Town.” With Toys R Us, Lazarus “transformed the toy business from Christmas-focused to year-round,” said Bloomberg.com. Emulating the success of self-service grocery supermarkets, each store featured long aisles and shopping carts, with a massive yet predictable selection. Toys R Us became the world’s largest toy chain, with some 1,600 stores, and in 1987 Lazarus was ranked the highest-paid executive in America, earning more than $60 million that year alone.